I absolutely love escaping to LA from my suburban neighborhood on the weekends. LA just offers so much more to do, eat, and see! One of my favorite places to hang out, especially during the warm summer months, is Echo Park Lake. 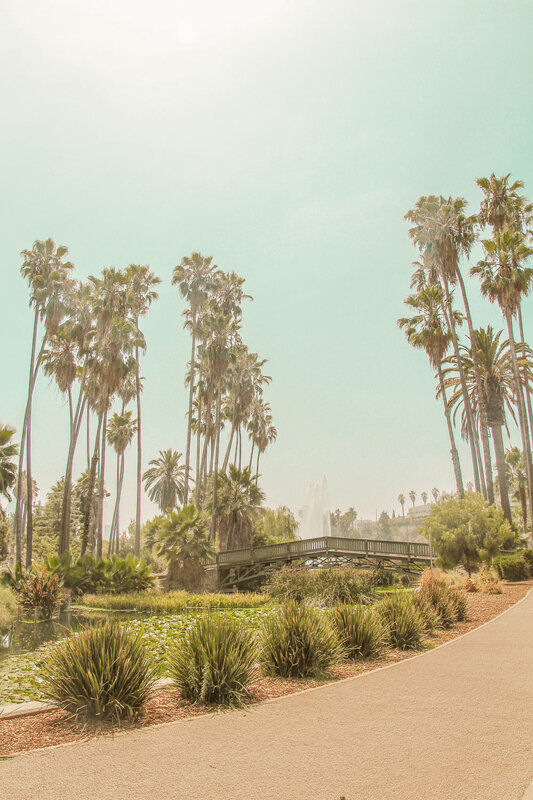 From seeing all the families having their picnics, to the fruit carts, to the breezy, misty air blown from the lake, to the unbeatable view of DTLA - there's nothing to not love about this park. And a trip to the lake in the summer meant casual wear with a hint of vintage chic. This summer, I've been all about woven bags and the color yellow. If you follow any fashion influencers like I do, then I'm sure you've seen those super stylish round woven bags - it seems like everyone got one this year! (And if you're not sure what I'm talking about, click here). 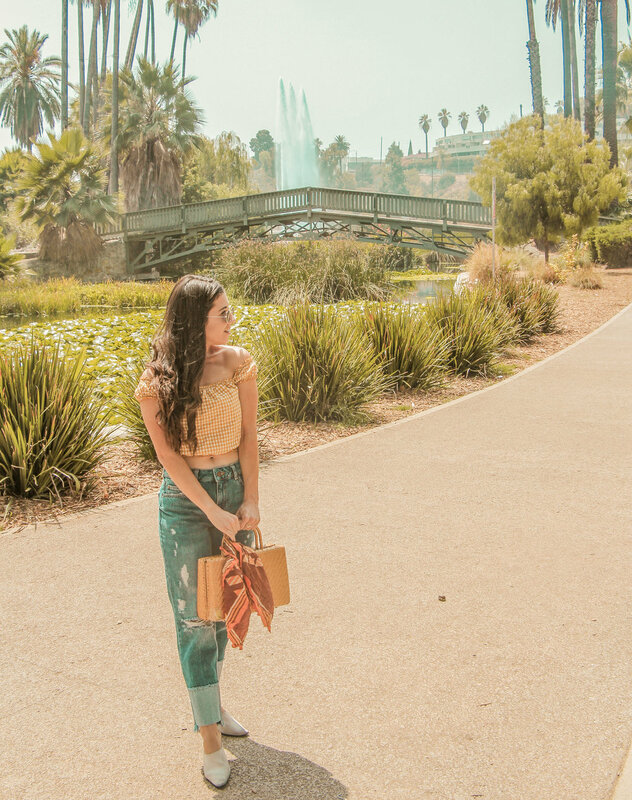 While I am a huge fan of them and did almost get one myself, I much prefer one of a kind, vintage pieces, like the bag I used down in Echo Park. I actually bought this bag last summer at a local antique store and while it does have a little noticeable wear and tear, I still love the uniqueness of it! I paired off the bag with a matching orange and yellow vintage scarf I found a couple weekends at the Rosebowl Flea Market to give it a touch of me. Another summertime staple that I bought this summer is this yellow and white gingham crop top. The fabric is crisp and not too heavy for those hot summer days LA is so prone to have and the style is flirty yet classic. What's been a summer style you've been loving this season?